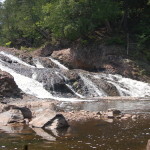 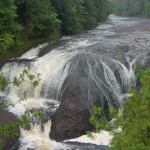 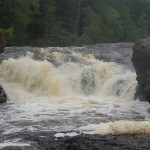 Yesterday we profiled Sandstone Falls on the Black River in Gogebic County. 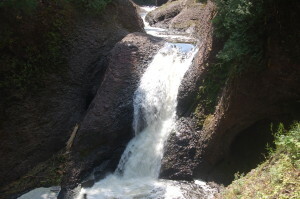 There are four other major waterfalls within a few miles of there, and today we will take a look at Gorge Falls. This waterfall is in close proximity to Potawatomi Falls and reached from the same parking lot. 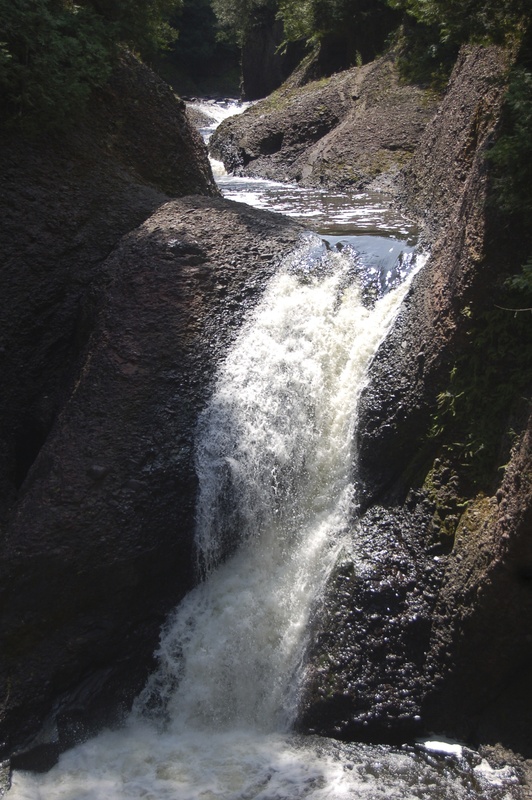 Both of these falls are easy to access via short, minimally taxing hikes. 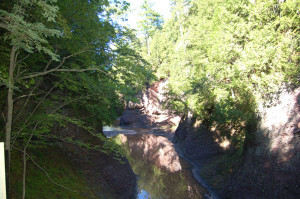 As you can see from the pictures, there is a small upper drop of about five feet before the river constricts and plunges another 20 feet into the gorge below. 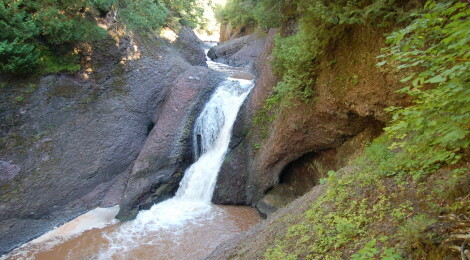 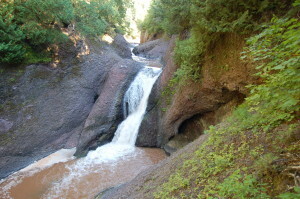 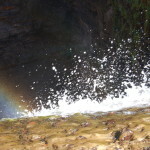 This waterfall is best viewed from the wooden platform at the end of the trail, as access into the gorge itself is not available or encouraged.